Adirondack Camp 110th Reunion. "All Present and Accounted For Sir!" 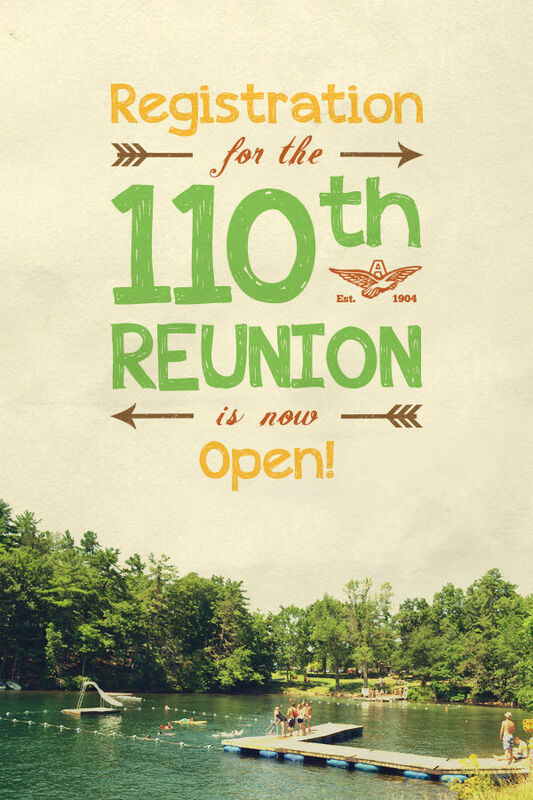 Adirondack Camp would like to invite you to celebrate our 110th summer! Please join us for a weekend of fun and relive the memories of our Camp years. Family and friends are welcome. We will be running some of your favorite Camp events and activities. The reunion will start on Friday August 15th @ Dinner till Sunday August 17th @ Brunch. Registration is now open and you can apply online by clicking the link below. Please check our website www.adirondackcamp.com within the coming weeks for more information.